Ric Manning, family historian, will present "Searching For Rosario: Turning A European Vacation Into A Genealogical Expedition" at the Thursday, March 1 meeting of the Southern Indiana Genealogical Society. Mr. Manning will explain how his search to learn more about a mysterious great-grandfather led him to a seventeenth century village in the mountains of Sicily. Mr. Manning writes the popular “Gizmo” column and reviews books about the Civil War for the Courier-Journal. Meeting time is 7 pm in the Strassweg Auditorium of the New Albany-Floyd County Public Library (180 W. Spring St., New Albany, IN). The public is invited to attend. The Wednesday, February 8th meeting of the Allen County Genealogical Society of Indiana will feature a program by Roberta Ridley on "African-American Genealogical Research." She will share why researching African-American slave records is so vital to reconnecting families today for stronger and more focused households. The meeting is free and open to visitors as well as members and begins at 7 pm in Meeting Room A of the Allen County Public Library in Fort Wayne. Gathering time is 6:30 pm. The Indiana Genealogical Society has expanded its social media presence and joined Twitter. Our Twitter handle is @IndianaGenSoc - follow us so you can stay up-to-date on all the latest genealogy happenings in Indiana! At its January 28th board meeting, the Indiana Genealogical Society appointed Sheila Kell of Vernon to fill the unexpired term of the Southeast District Director. Sheila is the Local History and Genealogy Librarian for the Jennings County Public Library and is the coordinator for the Jennings County site on INGenWeb. She was also appointed as the Indiana County Genealogist for Jennings County in 2011. The Southeast District Director represents Dearborn, Decatur, Fayette, Franklin, Jefferson, Jennings, Ohio, Ripley, Switzerland and Union counties. The Indiana Genealogical Society now has 727 databases in the Members Only area. They cover all 92 Indiana counties and encompass 500,000+ records. This database is free to the public - no membership is required to view it. The Indiana Genealogical Society now has 726 databases in the Members Only area. They cover all 92 Indiana counties and encompass 500,000+ records. The Federation of Genealogical Societies is now accepting lecture proposals for their 2013 conference, which will be held August 21-24, 2013 in Fort Wayne. The conference theme is "Journey Through Generations," which has dual meaning. It symbolizes the literal journey our ancestors took through America's heartland, on rivers, railroads, Indian trails, wagon roads, canals and the Underground Railroad. The theme also infers the virtual journey that genealogists take through bygone times and distant places as they explore the lives of their ancestors generation by generation. Topics relating to the Midwest, migration patterns, technology, regional repositories, and religious and ethnic groups are encouraged. Wednesday, 21 August 2013, will be an all-day "Focus on Societies" program for genealogical society officers, board members, volunteers, and other interested parties. The program committee is specifically seeking new and dynamic proposals that will provide exceptional and unique educational experiences for conference attendees. Proposals for workshops and sponsored talks are also encouraged. Speakers are strongly encouraged to submit multiple proposals (more than four), as most speakers will be invited to present a minimum of three lectures at the conference. There is no limit to the number of proposals a speaker may submit. For more information, including the submission requirements and compensation, see the FGS blog post. The Genealogy Center at the Allen County Public Library in Fort Wayne is offering hands-on computer sessions in using the Family Tree Maker software. Each session will focus on a specific section of the software, so attendees can register for one session or all seven. Participants should bring a flash drive to save their work. --Wednesday, March 14, 2012, 4:00 - 4:30 p.m., learn how to begin using Family Tree Maker in the Getting Started Session. --Wednesday, March 28, 2012, 10:00-11:00 a.m., explore adding individuals, facts and notes on individuals and families in the People Session. --Wednesday, April 11, 2012, 2:30 - 3:30 p.m., experiment with adding maps and/or migration trails to your family tree in the Places Session. --Wednesday, April 25, 2012, 2:30 - 3:15 p.m., add and categorize photos and documents in the Media Session. --Wednesday, May 9, 2012, 2:30 - 3:00 p.m., create citations using templates and link sources to facts and media in the Sources Session. --Wednesday, May 23, 2012, 2:30 - 3:30 p.m., publish your family history, charts, and genealogy reports in the Publish Session. --Wednesday, June 13, 2012, 4:00 - 4:30 p.m., discover ways to search the Internet without leaving your Family Tree Maker software. Sync your Family Tree Maker database with Ancestry.com trees in the Web Search Session. To learn more about each session, view their brochure. Registration is required as seats are limited for the classes. To register, please call (260) 421-1225 or e-mail Genealogy@ACPL.Info. Ron Darrah points out that the Indiana Department of Natural Resources' Division of Historic Preservation and Archaeology has a great Indiana cemeteries registry online. The cemeteries registry is part of the State Historic Architectural and Archaeological Research Database (known as SHAARD). From the SHAARD page, you must click on "SHAARD Access," then look for the link on the right side of the page to "Enter SHAARD as a Guest." Once you've read through and accepted the Terms & Conditions, you're taken to the screen for Structural Surveys. You'll want to select "Cemetery Registry" from the Survey Type, then you'll have the option of searching by either county, historic name or even the city. Clicking on the "Search" button then displays a list of results. Many of the listings include photos of the site, and some even have burial readings included with them. There are also maps (which you may need to rotate). DNR staffer Jeannie Regan-Dinius has done a great job accumulating a massive amount of data. It's always a work in progress, so please donate additional information if you have it! The Carmel Clay Public Library in Hamilton County is offering an "Ask The Expert" genealogy roundtable on Tuesday, February 21 at 1 pm. Sue Dillon will lead a discussion about busting family tree myths. All are welcome. The La Porte County, Indiana Genealogical Society will meet at 7 pm on Tuesday, February 14 (weather permitting) at the Swanson Center for Older Adults (910 State Street, La Porte IN). Following a short business meeting, Alan Zeller and Harold Henderson will present a program about the 1940 census, which will be released to the public on April 2, 2012. They will discuss what questions were asked of the 132 million Americans that were then living, and also how researchers can find their families in the 1940 census when there is no name index yet. The Danville Public Library will hold a workshop, "Get Ready for the 1940 Census! ", on Saturday, March 10 at 10 am in the library's program room. Indiana Room manager Cindy Rutledge will discuss the 1940 federal population census, which will be released to the public on April 2, 2012. Among the topics to be covered: what information the 1940 census will contain and strategies to use to find your ancestors. The workshop is free but seating is limited - register online at the library's events calendar or by calling the Indiana Room at (317) 745-2604 ext. 140. Lessons From A Snoop: Collaterals and Associates - Crucial information on direct ancestors is often found by nosing into the lives of collateral relatives, associates, and neighbors. Case studies present examples of invaluable finds. Digging Through Documents Word by Word - Proper scrutiny of each piece of information in a document is essential to understanding that item’s evidentiary value. Studying every word’s meaning and context ensures that evidence has been properly analyzed and comprehended. There will also be sessions offered on Ancestry.com expert tips, FamilySearch news, and writing a book using Family Tree Maker and Microsoft Word. In between sessions, attendees can research at the Genealogy Center, browse the vendor area or enjoy the hospitality offered by the Allen County Genealogical Society of Indiana. Registration information is available at http://www.indgensoc.org/conference.php. IGS members receive a $10 discount on registration. Indiana Genealogist, the electronic quarterly journal of the Indiana Genealogical Society, is currently seeking submissions. We’re looking for narrative articles and case studies involving Hoosier subjects as well as transcriptions, abstracts, or indexes of source material. We’d especially like to see articles about using unusual sources or new technologies. Illustrated material is particularly welcome. Further information about IGS and the journal, including our submission guidelines and a sample issue, can be found on the IGS website. Editor Rachel Popma is happy to speak with you about potential subjects and submissions. Please contact her at quarterly@indgensoc.org. The Indiana Genealogical Society now has 725 databases in the Members Only area. They cover all 92 Indiana counties and encompass 500,000+ records. The Indiana State Archives has added an online database about Indiana's Spanish-American War veterans. The United Spanish War Veterans Membership Files database includes over 6,470 entries for members of the Indiana Department of the United Spanish War Veterans (USWV). The membership files contain applications, membership information, pension correspondence, and death notices. Information on spouses and widows can also be found within many files. For more information about the database, you can read the press release by the Indiana State Archives. In honor of the 150th anniversary of the Civil War, the Rush County Genealogical Society has published "Let Us Die To Make Men Free: Civil War Soldiers of Rush County, Indiana." The book contains information on 66 individual soldiers who either lived in, enlisted in or died in Rush County, as well as historical information on the regiments and engagements. The cost of the book is $20 + $5 shipping - ordering information is available on their website. House Bill 1093, which would impose fines of up to $500 on government officials or agencies that are found to have violated the state's public records law or the open door law, has advanced out of committee. The vote was 11-0 by the House's Government and Regulatory Reform Committee. It now advances to the full House for consideration. The Indiana General Assembly is considering a bill, House Bill 1093, that would impose fines upon government officials or agencies that are found to have violated the state's public records law or the open door law. The fine would be $100 for the first offense and $500 for repeated offenses, with the state's Public Access Counselor responsible for determining if a violation occurred. The bill also calls for the creation of a fund to be used by the Public Access Counselor to educate government officials as well as the public about the open records laws. The Indiana Genealogical Society has added more digitized files of Hendricks County probate records to our website, as part of our Records Preservation Project. There are now almost 550 files online. These files are free to the public. Genealogists looking for information on Randolph County might want to check out this website for Darke County, Ohio. Darke County borders Indiana, so it leads to convenient migration. Their Randolph County section includes listings of graduates for Union City, Jackson and Wayne high schools. Thanks to Ron Darrah for this tip! The Carmel Clay Public Library in Hamilton County is offering a 5-week basic genealogy course. The course will be taught by Sue Dillon and will be held on Thursdays from 9:30 to 11:30 am beginning on February 23. The course covers the kinds of information there are, where to find it, how to organize it, how to plan a genealogy road trip, etc. Online resources will also be explored. There is no fee to attend. The Genealogy Department of the Porter County Public Library System will hold a beginner's genealogy workshop on Thursday February 23 from 6:15 to 8:45 pm at the Portage Public Library (2665 Irving Street, Portage, IN). The workshop is for people just starting to trace their family history, as well as for those more experienced in genealogy who want to get better acquainted with the resources available at the Porter County Public Library in Valparaiso. Larry Clark, Porter County Genealogist, County Historian, and head of the Genealogy Department, will conduct this free workshop. Registration is required - call (219) 763-1508. The Indiana Genealogical Society now has 723 databases in the Members Only area. They cover all 92 Indiana counties and encompass 500,000+ records. The Indiana Genealogical Society now has 721 databases in the Members Only area. They cover all 92 Indiana counties and encompass 500,000+ records. The Genealogical Society of Marion County will meet on Saturday, January 14 from 1 to 3 pm at the Crown Hill Cemetery Waiting Station in Indianapolis (Boulevard at 34th Street). Thomas Hamm, Director of Special Collections and Professor of History at Earlham College, will present an introduction to using Quaker records for genealogical purposes. Professor Hamm's presentation will include a brief overview of Quaker history as well as examples of the various types of Quaker records. This meeting is free and all are welcome to attend. The Carmel Clay Public Library in Hamilton County is offering guided classes at their computer lab in how to use genealogy databases. The classes are being led by Michael Draper and are offered on Tuesdays from 10 am to 1 pm and on Thursdays from 6 pm to 8:45 pm. The library has subscriptions to genealogy databases Fold3, American Ancestors, Ancestry.com and Heritage Quest Online. The Carmel Clay Public Library in Hamilton County is offering an "Ask The Expert" genealogy roundtable on Tuesday, January 17 at 1 pm. Jennifer Hershberger will lead a discussion on using Photoshop to improve faded and damaged family photos. All are welcome. The Sons of the American Revolution Genealogical Research Library in Louisville, Kentucky will hold an "Introduction to Genealogy" program on Saturday, January 21 from 9:30 to 10:30 am. Librarian General Michael Wells will help you start tracing your family tree. This is a free program. Reservations are encouraged - to RSVP, or for more information, please contact Rae Ann Sauer - phone (502) 588-6130; rsauer@sar.org. The South Bend Area Genealogical Society will hold its 2012 Michiana Genealogy Fair on Saturday, March 17 at the downtown Mishawaka-Penn-Harris Public Library (209 Lincoln Way East, Mishawaka, IN). The featured speaker will be Mark Middleton, Information Systems Professional, who will speak at 10:30 am on "Scanning Photographs: The Standards, Best Practices and Equipment," and at 1:30 pm on "The Latest in Computer Technology for your Genealogical Research." Some 30 vendors and societies are expected to be present to assist in your genealogical research. Looking for the marriage of Robert Morris LAWSON and Anna Louise SICKMAN. Robert was born in Lafayette, Tippecanoe County, Indiana in 1916. They were married in 1944 place unknown. Two children were born to this couple, the first one being in Virginia in 1947 and the other in 1949 in Virginia. I am trying to locate Jacqueline J. JOHNSON (JOHNSTON) born sometime between 1934- 1937 born and lived in Indianapolis IN. Last known address was on Alabama St. Any Information would be appreciated. Looking for information on the death of Marshal BAXTER and his wife Minnie BAXTER. He died in May 1934 and she in January 1936. In 1930 census they lived in Jasper County. I know they were buried in Lowell Cemetery in Lake County. I am looking for a death record and maybe even a will of Marshal. They did bounce around Lake, Starke and Jasper counties. Looking for information on my grandfather who spent time in Whiting, Lake County, IN. He owned a flower shop "Galten Florists" according to his draft card from 1942. His name was Lawrenze (Lorenz, Lawrence) Wilhelm GALTEN. I would also like to find out how long my grandfather owned this business? When he arrived in Whiting? Looking for John Stephen LEWIS parents? He married Louisa Jane STEVENS 1849 Parke County. Also looking for a possible connection with Thomas LEWIS,who lived two doors from STEVENS Sr. residence. My great grandmother Bertha VETTER PORSCH was born 28 Oct 1880 in Baden-Wurttemberg, Germany. She passed away at Manderly Nursing Home in Osgood, IN on the 18 June 1975 Osgood, Ripley, IN. They are both buried at St. Johns Cemetery in Osgood, along with my grandmother Mary Johanna PORSCH NEAD born 2 Jan 1907,Osgood, Ripley, IN she passed away on the 7July 1984, Osgood, Ripley, IN, Mary Jo grew up in Osgood, IN a very devoted member of St. Johns Catholic Church. She was married to Stanly Hubert NEAD and they had 2 children Peggy NEAD FALLIS, also buired at St. Johns in Osgood and Dennis Edward NEAD buried in Fort Myers, Florida. I am trying to find out information regarding my grandmothers birth certificate. I am not sure but think Edward and Bertha may have been married in Osgood. They did have another child before my grandmother that passed away after birth. I believe they where Jewish and changed to Catholic when they came to Osgood. Are there any records for Ripley County for the 1890 to 1940 time period? Historian Marie Byatt will present a program, "A Celebration of the 100th Anniversary of Girl Scouts," at the Thursday, February 2 meeting of the Southern Indiana Genealogical Society. 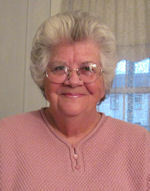 Ms. Byatt is a 50-year volunteer with the Girl Scouts and a SIGS member. Meeting time is 7 pm in the Strassweg Auditorium of the New Albany-Floyd County Public Library (180 W. Spring St., New Albany, IN). The public is invited to attend. The Cass County Genealogical Society will meet on Wednesday, January 11 at 7 pm at the Cass County Public Library in Logansport. The public is welcome to attend. The Genealogy Center's at the Allen County Public Library in Fort Wayne is offering a WinterTech series so you can learn more about technology that will benefit your family history research. Their WinterTech session on Wednesday, February 8, 2012 from 2:30 to 3:30 pm in the library's Meeting Room C, led by Steve Myers, will show you the many databases, CD products, research articles and other resources for British, Irish and Scottish research that are available through The Genealogy Center's subscription to Origins.net (the Origins Network). The Indiana Genealogical Society now has 720 databases in the Members Only area. They cover all 92 Indiana counties and encompass 500,000+ records. The Indiana Genealogical Society has added more digitized files of Hendricks County probate records to our website, as part of our Records Preservation Project. There are now over 500 files online. These files are free to the public.